Es’hailSat, the Qatar Satellite Company, has announced the safe arrival of the Es’hail-2 satellite at the SpaceX launch facility at Kennedy Space Center in Florida, USA, in preparation for the launch on November 15, 2018. 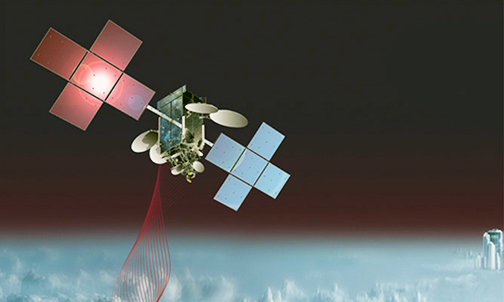 Artistic rendition of the Es'hailSat-2 satellite on orbit. Es’hail-2 is undergoing final preparation at the SpaceX launch facility for launch on board a Falcon 9 rocket. Lift-off is planned with a launch window starting at 23:46 on November 15 and ending at 01:29 on 16 November (both Doha times). Built by Mitsubishi Electric Company (MELCO), based on their DS 2000 satellite bus, Es’hail-2 has a proven, modular platform with high power capability and flexibility for a broad range of applications.